Ensuring that women and girls engage in the digital world is fundamental to Myanmar’s democratic and economic growth. Yet women are 28% less likely than men to own a mobile phone, the primary means of internet access in he country, and experience related disparities in digital skills and use. 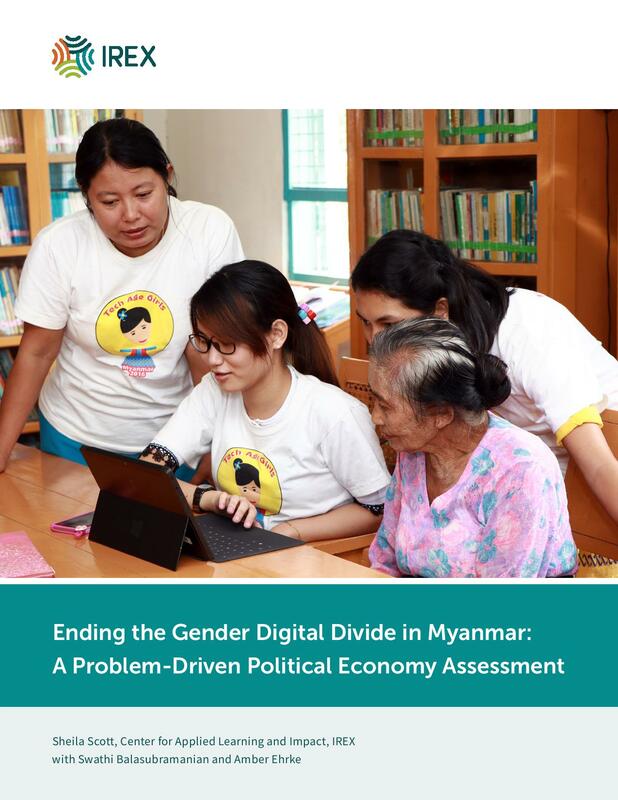 To better understand this gap, IREX conducted a first-of-its-kind political economy analysis of Myanmar’s gender digital divide. The assessment offers a nuanced view of who is excluded and how, with tailored, practical recommendations to narrow the divide. A related report offers recommendations for strengthening young women’s digital skills in Myanmar.